If number of elements in List is less than REVERSE_THRESHOLD, which is equal to 18 then it uses for loop for swapping elements otherwise it uses list iterator. If you want to learn more about how reverse() method of Collections works, you can see it's code from JDK itself or in the next section. By the way, this is a typesafe generic method and you can use it to reverse Integer, String, Float or any kind of List in Java. You can also see the classic book Core Java Volume 1 - Fundamentals by Cay S. Horstmann to learn more about key classes of Java Development Kit. Here is my code example of reversing an ArrayList of Integer. You can see that we have added numbers on increasing order but after calling reverse() method, it prints them on decreasing order. Unlike popular misconcept, Comparable or Comparator is not used while reversing ArrayList in Java. 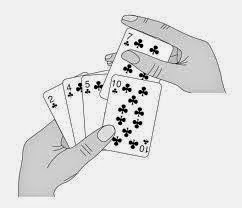 Though they are used if you want to sort Array in Java. * method. This method will work for any kind of ArrayList e.g. * for an ArrayList which doesn't support set() operation. Here is the code snippet from java.util.Collections class which you can use to reverse an ArrayList or any kind of List in Java. You can see that it uses set() method of List interface for swapping elements and that's why you cannot reverse a read only ArrayList because it doesn't support set() operation. 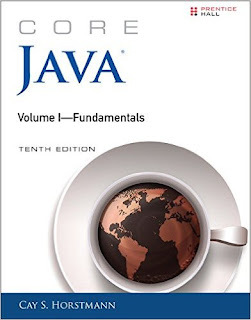 You can also see the classic book Core Java Volume 1 - Fundamentals by Cay S. Horstmann to learn more about key classes of Java Development Kit. * This method runs in linear time. * @param  list the list whose elements are to be reversed. *         its list-iterator does not support the <tt>set</tt> operation. That's all about how to reverse ArrayList in Java. Though you can always write your method to reverse an ArrayList, it won't be much different that how you reverse an Array in Java, it's always better to use function from JDK library. Why? because they are well tested for programming bugs and corner cases and they are much more optimized then you think, because of wider audiences who have used and improved them already. Let us know if you know a faster way to reverse ArrayList in Java. if it is an array of integers, then you can convert it to an integer and then reverse it. or else you can swap the end elements with the help of a for loop ranging from 0 to Length/2. you can do the same with the staring array too. Arrays.toString() will give you a single string from a array of strings, and dn just reverse it.